I think this is one of the most common misconceptions about the bullet journal system. You see all of these beautiful, perfectly made layouts online, and you think that this is the standard for bullet journals. However, this is downright false! If you check out the guide to the original system, you'll see that it's actually really simple, and anyone can do it; having a bullet journal is not hard at all Additionally, it's 100% okay to make mistakes in your bujo, and you shouldn't compare your own planner to someone else's "highlight reel". You have to be artistically talented to make a "good" bullet journal. Happy saturday ! Sorry for the lack of posts guys, this week has been crazy busy. Luckily I got most of my work done, so I can take some time to relax and plan next week. 😌What are you guys up to this weekend? This is pretty similar to the first myth, and I think it's one of the most common. In fact, I almost didn't start a bujo because I thought it had to be super artistic! However, again, this is completely untrue. Your bullet journal is your personal, unique planner, and the beauty of the system is that you can make it look however you want. You don't have to have computer-esque handwriting. You don't have to be good at drawing. You don't have to be a calligrapher. Your bullet journal could be the ugliest thing in the world, and that would be perfectly okay. I'm a bit of a hypocrite for saying this, since I myself spend quite a bit of time on making my bullet journal look nice. However, you don't have to do that! The original system is very minimal, and you don't need to add all sorts of extra special things to your system if you don't want to or if you just don't have the time to make it aesthetically pleasing. Furthermore, there are many easy ways to decorate your bujo that don't take lots of time. Here is some inspiration for minimalist bullet journalists. There are no pre-planning capabilities. I think this is another thing that turns a lot of people away from using a bullet journal. Oftentimes, the appeal of pre-printed planners is that you can fill in things that are months from today. However, there are still many ways to plan for the future. 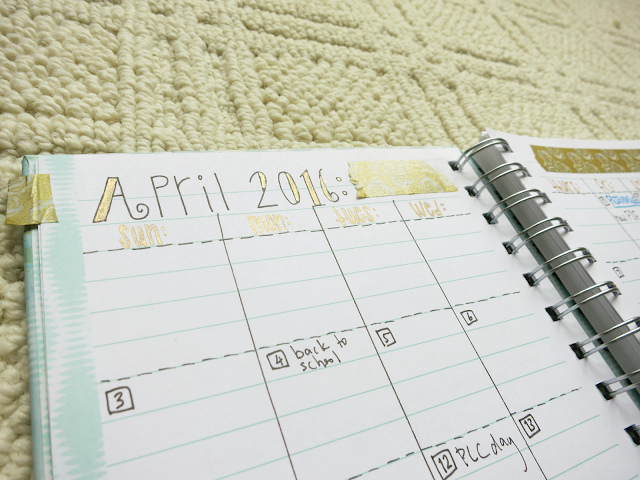 Here are some ways to schedule tasks, and here are some different ways to do future planning with events. You have to own a certain supply, you need to have a bajillion tools, etc. I think this is another very common myth for bujo newbies. 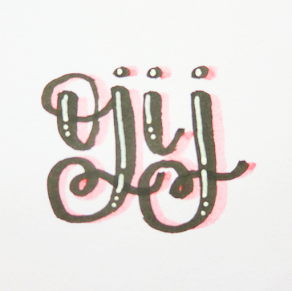 I see that many people only start a bullet journal once they have a certain supply (like a specific notebook or set of pens), but the bullet journal system is adaptable to any sort of paper and writing utensil; I know that there are some people that even have digital bujos! Yes, materials matter to a certain extent (e.g. it's much nicer to write in a fancy notebook with high quality paper than one with bad paper), but if you're just dipping your toes in the water to see if you'll even stick with a bullet journal, then it's fine to use whatever you have on hand; you don't need to spend a lot of money to start a bullet journal. I personally started with a random notebook I had laying around my house. Additionally, you don't have to use the same supplies that everyone else. It's fine to use whatever tools you personally prefer using. If you don't want to, you don't have to use a dot grid journal, you don't have to use felt-tip pens, you don't have to use washi tape, etc. Again, the bullet journal system is completely unique to every individual user, and you can use whatever you want to use; it can work with any set of supplies. Your materials are not going to stop you from having a productive and useful planner because your system itself determines how "good" your bujo is; you don't need to have a certain notebook, pen, etc. How you use the stuff is way more important than the stuff itself. There are certain spreads that you have to have. Okay, this is true to an extent. Yes, you need to have some sort of planning and to-do spreads in your bullet journal, or else it wouldn't really be a planner, would it? On the other hand, you don't need to have certain collections just because other people have them. Like I've said so many times in this post, your bullet journal should be adapted to what you need it to be. If you don't like the list format of the original system's monthly log, then you don't have to make it like that. If you have no use for daily spreads, then you don't have to incorporate them. If a habit tracker is pointless for your life, then you don't need to make one. Just because a lot of other people use certain spreads or set up their bujo in a certain way, you don't have to do the same thing. Your planning system should be adjusted to what's needed for your own unique life. If something truly doesn't help you, then you shouldn't feel obligated to include it. Basically, my overall message is that everyone's life is different, and thus, every bullet journal is one of a kind. There are very few guidelines as to what makes a "proper" bujo, so you can do pretty much whatever you want with yours. 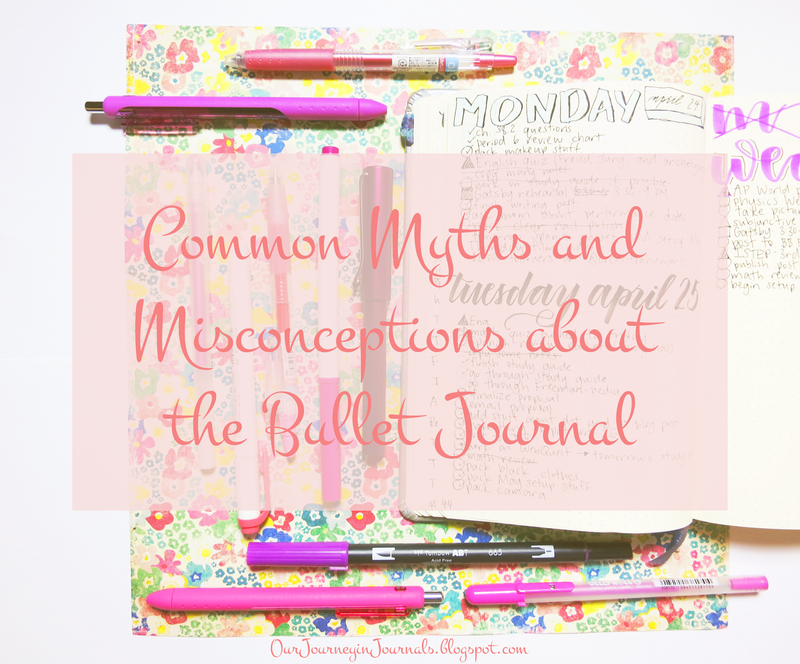 I hope that this little spiel from me has cleared up some common myths and misconceptions about the bullet journal system that I've seen perpetuated in the past. Did I miss any prevalent myths that you've also seen? If so, comment it down below!